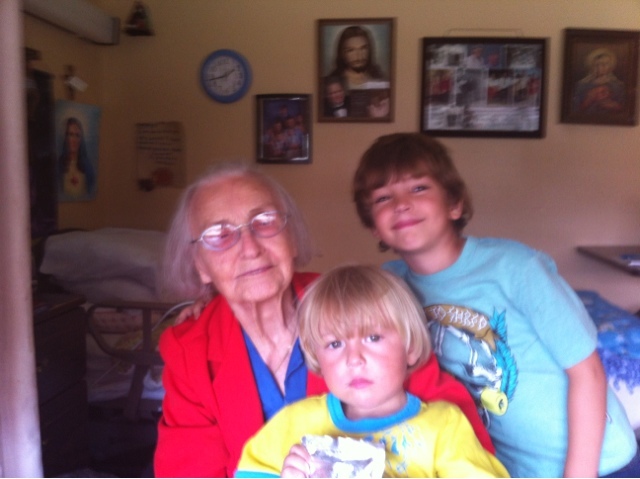 Yesterday the boys watched movies and played video games as we drove down to see my grandma for the day. 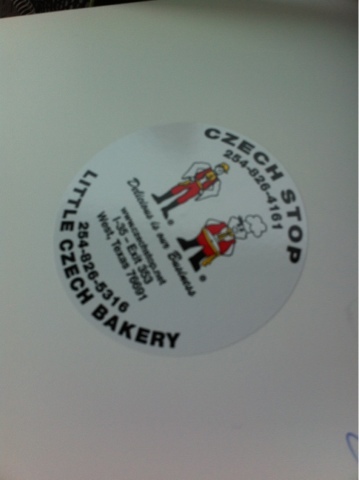 We stopped and bought kolaches to share with her at the Czech Stop. 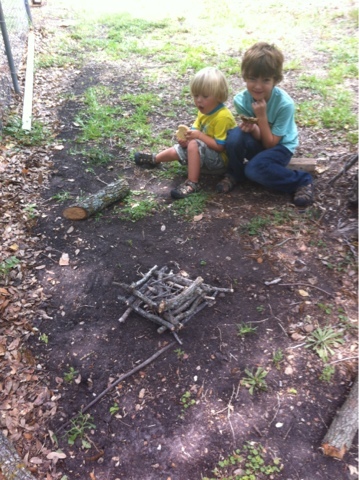 While there Ben showed his campfire building skills. I was pretty impressed, this young one has been paying attention. Once we got home we played in the pull and the boys had a new toy arrive.